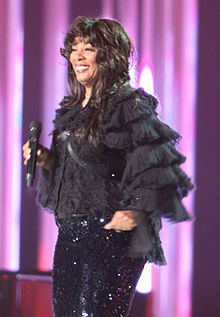 Donna Summer, the Queen of Disco, has passed away after a battle with cancer. She was 63. She was huge in the 70s and early 80s. Even if you don't know who she is, you will have probably heard her songs many times and not even known. Condolences to her friends, family and fans. Donna, just hearing your name brings me back to the good old days of Disco. You were one of the best.